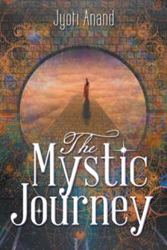 In Jyoti Anand’s tale of joy, doubt and fear, an Indian woman seeks liberation through her astral travels in the new novel, “The Mystic Journey” (published by Archway Publishing). The novel is based on some of Anand’s own life events. The book is available for purchase at: https://www.amazon.com/Mystic-Journey-Jyoti-Anand-ebook/dp/B07DGQCG15. Fifty-year-old Mira, a middle-class woman, is thrown into a wide world of privilege in Mumbai, India. By day, she is a devoted companion to Vikram, her sweet and loving husband, and best friend to Megha, her soul sister. But when darkness falls and Mira sleeps, her astral travels lead her deep into a different realm. As Mira’s dreams, musings, and astral travels shape her evolution as a person, these episodes not only bring her wisdom and solace, but also help her to transform the life of Chandra, her house servant, and the lives of many others. Jyoti Anand has been grappling with her astral travel for some time. She blogs about her many out-of-body experiences at themysticjourneyofjoey.blogspot.com. Anand has an adult daughter and lives with her husband and young son in Mumbai, India, where she is hard at work on her second book.